A group of young people are set to receive an award at The Prince’s Trust and TK Maxx & Homesense Awards, Wales. They will scoop the Dell EMC Community Impact Award at the ceremony, to be held today at the National Museum in Cardiff. Here we have the final instalment in a series of nine events across the UK, celebrating the inspirational achievements of young people in Wales. This year, we have seven fantastic winners who have overcome significant barriers en route to success. Several of which include Lauren, Taylor, Dylan, and Carly. 18-year-old Lauren Hughes, from Rhondda Cynon Taff, is set to receive one of said awards. She will scoop the Horizon Nuclear Power Young Ambassador Award at the ceremony. Lauren felt trapped by her dyslexia and her duties as a young carer. She became a Young Ambassador for The Prince’s Trust Cymru after taking part in the Fairbridge programme, and realised her true potential. Today, she is studying Acting at university and in total control of her destiny. Taylor Saunders, (20, from Barry) will scoop the HSBC Breakthrough Award at the ceremony. Taylor was taken into care at the age of 17. She was self-harming regularly and suffering with post-traumatic stress, depression and borderline personality disorder. The Prince’s Trust Team Programme (where she helped transform an unsafe pathway at a local care home into a fully accessible 200m walk route) helped her believe in herself and make friends. She’s now an apprentice at a children’s charity and en-route to a very bright future. 16-year-old Dylan Gregg from Newport will scoop the Ascential Educational Achiever award at the ceremony. Dylan is often in pain because of a number of medical conditions. He didn’t enjoy learning and was excluded from several schools for his aggression, before the Achieve programme helped him learn in a different way. Dylan has now completed his Maths and English GCSEs and has aspirations of becoming a qualified football coach. Carly Thompsett, 29, will scoop the NatWest Enterprise Award at the ceremony. Carly left school at 15 after being told she wouldn’t achieve anything in life. After the death of her grandfather, she decided to follow her dreams and now runs a successful online retail store. Youth charity The Prince’s Trust helps young people to develop the confidence and skills they need to realise their ambitions, so that they can live, learn and earn. Founded by The Prince of Wales in 1976, the charity supports 11 to 30 year-olds who are unemployed, struggling at school and at risk of exclusion. The Trust has helped over 900,000 young people to date and supports over 100 more each day. 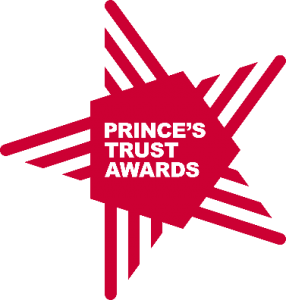 Further information about The Prince’s Trust is available at princes-trust.org.uk.